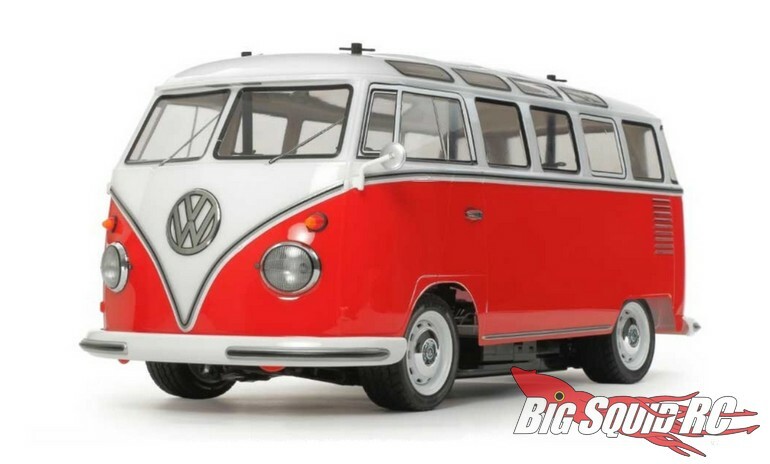 Tamiya Volkswagen Type 2 Van « Big Squid RC – RC Car and Truck News, Reviews, Videos, and More! Coming soon from Tamiya is the Volkswagen Type 2 Van. This recreation of the historic VW is highly detailed and comes on Tamiya’s M-06 chassis. Street pricing for the Tamiya Volkswagen Type 2 Van should be right around $175 and it has a part number of #58668. Read more of the lastest Tamiya News right here on BigSquidRC.